A flyer providing an overview of the services provided by Control Specialists Ltd.
A flyer providing an overview of the support services that Control Specialists Ltd can provide for PROFIBUS and PROFINET networks. A flyer providing an overview of the automated control system software design services provided by Control Specialists Ltd.
A flyer providing an overview of the GAMP-related validation services provided by Control Specialists Ltd.
A flyer providing an overview of the development services associated with .NET / SQL production data applications provided by Control Specialists Ltd.
A flyer providing an overview of the PID Loop Optimisation services provided by Control Specialists Ltd.
As an ISO9001 organisation who have been audited by BSi since 2003, Control Specialists Ltd have to be seen to be giving our clients the opportunity of providing feedback on the quality of service we have provided. This flyer contains a few examples. This one-day EMC training course is aimed at people with a conventional low frequency electrical background who are involved in the design, installation, commissioning and support of industrial automation systems. This is a practical course aimed at people who have previously taken the PROFIBUS Commissioning & Maintenance course. It can be easily incorporated as an additional day of training for those who need to commission or maintain AS-i sub-networks and gateway devices. The Certified PROFIBUS Installer Course is a one day course that teaches the layout, installation and testing of complete PROFIBUS networks. See the training page of this site for dates of scheduled courses. Copyright: Verwer Training & Consultancy Ltd (Partner of Control Specialists Ltd). operational PROFIBUS systems. See the training page of this site for dates of scheduled courses. Copyright: Verwer Training and Consultancy Ltd (Partner of Control Specialists Ltd). systems. See the training page of this site for dates of scheduled courses. Copyright: Verwer Training and Consultancy Ltd (Partner of Control Specialists Ltd). The Certified PROFINET Installer Course is a one day course that teaches the layout, installation and testing of complete PROFINET networks. See the training page of this site for dates of scheduled courses. operational PROFINET systems. See the training page of this site for dates of scheduled courses. The Certified PROFINET Engineer course is suitable for anyone who is working at a technical level in automation and control systems. See the training page of this site for dates of scheduled courses. This training course is aimed at technicians, engineers and programmers who are involved in the operation, implementation and tuning of feedback controllers in a wide variety of applications and industries. See the training page of this site for dates of scheduled courses. Copyright: Verwer Training & Consultancy Ltd (Partner of Control Specialists Ltd). The Certified PROFIBUS System Design course has been developed to provide specific training for managers, designers and engineers who are involved in the planning, specification, design and procurement of PROFIBUS systems. Copyright: PROFIBUS and PROFINET International (PI). Released in March 2018, this guideline document has been produced by PROFIBUS and PROFINET International (PI). Its purpose is to provode a clear set of recommendations to ensure that PROFIBUS and PROFINET networks remain free of disturbances. This document forms the basis of the topics covered in the Certified PROFIBUS Installer course. 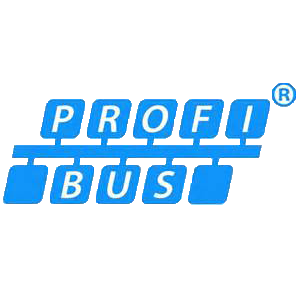 See the Training Course page of this site for details of scheduled PROFIBUS training courses. The Indu-Sol VORTEX report packs the learnings from Indu-Sol‘s industrial network measuring activities over an entire year across all borders of technologies and countries into a single document in order to help answer these questions. Copyright: Indu-Sol GmbH. This document forms the basis of the topics covered in the Certified PROFINET Installer course. 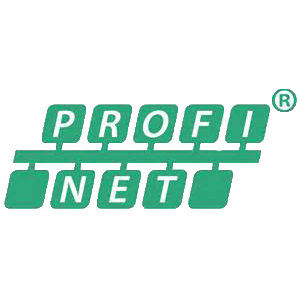 See the Training Course page of this site for details of scheduled PROFINET training courses. One of the major events within the lifetime of the PROFIBUS & PROFINET International (PI) community was the first release of a specification for safety communication in 1999. It caused a quantum leap in possibilities in the world of automation. The name of this technology is PROFIsafe. Development of a PROFINET device or addition of a PROFINET interface to an existing device are the tasks for which this guideline is intended. In addition, it contains advice and recommendations – all in the sense of a best practice approach. Copyright: PROFIBUS and PROFINET International. A presentation given at a UK PI seminar in 2015 about the basics of IO Link and how it can be integrated to higher-level systems like PROFINET. Copyright P.M.Thomas Control Specialists Ltd (PITC Chairman). PlantESP makes it easy to both improve and maintain controller performance throughout your facility. It keeps a constant watch for performance issues and it equips your staff with timely notification of changes to production control. Copyright: Control Station Inc.
A useful spreadsheet allowing you to determine the most appropriate PID values using several tuning methods. For personal and training purposes only. Copyright: Control Specialists Ltd 2017.